Apart from calculating the first year return on equity, a real estate investor might want to know their return on equity as projected for future years or as experienced after the first year. This could be important, as once the property has appreciated and the mortgage has been paid down somewhat, the amount of equity invested at that point might be better used elsewhere if the current return on equity is low. Get as accurate as possible an estimate of the current or projected value of the property. For this example, we'll use $510,000 as property value. Determine the mortgage payoff. For our example, let's assume that the mortgage balance is $375,000. Then calculate the Cash Flow After Taxes (CFAT). We'll use $17,000. In this example, the return on equity seems great compared to prevailing interest rates. However, if the mortgage had been paid down more and the value had risen more, the result might have been half as much or say 6%.In that case, it's possible that selling the property and investing in another would be wiser due to a better ROE on the new property. Insurable: It's a tangible asset that you actually insure against loss. If it's damaged or destroyed, you get compensated. If you own stock shares and the company goes bankrupt or there is bad earnings news and your share prices collapse, that's the breaks. Finite: They can keep printing and issue shares of stock in a company, but there's only so much real estate in the world. Yes, you can build something on it, but it's still a single forever unique piece of land. Capital Gains Tax Advantages: Your profit when stocks are sold is realized in the year it's sold, no exceptions. You can use the 1031 Tax Deferred Exchange from the IRS to defer capital gains taxes on profits from the sale of real estate investments. In fact, you can defer it forever! If you've been growing your portfolio over the years using 1031 Exchanges properly, you haven't paid any capital gains taxes. Should you pass away, your heirs inherit the property at its current stepped-up value, and all of those capital gains just go away! Yes, you can in a way take it with you. Cash Flow and Appreciation Returns: Real estate over time has proven to rise in value, though there are hiccups along the way. 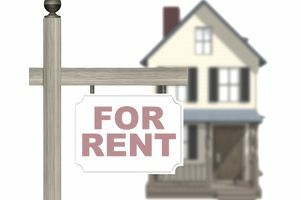 So, owning a rental property, you're gaining equity through appreciation and you're renting it out over the costs for positive monthly cash flow. Equity Growth Through Paying Down the Mortgage: You're paying that mortgage payment every month, and a part of it goes to equity. You are building an asset value against which you can borrow at very favorable rates. Great Expense Deductions: You get to deduct management, maintenance, and operational expenses, as well as real estate taxes against your income or even income from other investments. Depreciation is a Gift: You can depreciate the value of the structure (not land) over 27.5 years. This isn't money you've spent, but you get a dollar-for-dollar write-off against income for depreciation every year. Great Low-Risk Leverage: Using mortgages, you can leverage 80% or more of the purchase cost of a rental property. Why spend $200,000 to buy one home cash when you can buy four of them with down payments and put those four cash flows into the bank every month?